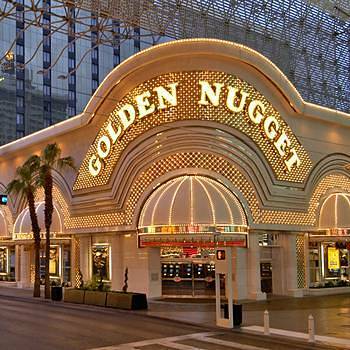 The Golden Nugget in London is not a part of the famous Golden Nugget Casino that is located in Las Vegas. It was opened in 1949 and has been featured in several movies. It’s owned by Landry’s, Incorporated and is known as one of the most popular gambling locations of Vegas. Enough about that, lets concentrate on The Golden Nugget Casino that is actually located in London. This property is owned by the well known, Caesars Entertainment and is a part of London Clubs International, which owns several other properties in London. There’s a pretty significant difference between The Golden Nugget in London and any major land based casinos that are owned by Caesars Entertainment and located in Vegas or even Atlantic City. Those are usually massive entertainment resorts that are often taking up space of several thousand square meters. This property in London is nowhere near that and is a rather simple brick & mortar casino with a single bar and dining amenity attached to it. Though there is a fair bit of additional aspects that you might want to learn of, so lets walk through them all and somewhat structurize this review based on various offerings by the casino. Golden Nugget in London is open from 11 PM to 5 AM from Monday to Thursday, while you’ll be able to gamble whenever you want on Fridays, Saturdays, Sundays and during all bank holidays. It’s kind of weird seeing a casino not be open 24-7, as it is in most regions, but that’s the case with these ‘guys’. You also won’t see a huge overwhelm of slots at GN, since majority of their games are actually table based. Only 20 slot based gambling machines are offered, albeit most of them are offering a chance to play up to 9 different games per machine. Rapid Roulette, an electronic type of the game, is also offered. Other than that, you’ll be able to play Three Card Poker, BlackJack, Punto Banco (Baccarat), American Roulette and Pai Gow Tiles, which is NOT the same game as Pai Gow Poker, but instead is played using Chinese dominoes. Are you a poker player? Golden Nugget Casino in London runs daily cash games, starting as early as in 5 AM! The games played are usually Texas Hold’em cash games with blinds of either £1/1 or £1/2. Games are raked at 5% with either a £6 or £8 cap. Poker players also get rewarded, similarly as casino players, but sometimes on an even higher level. For example, The Golden Nugget rewards poker players with 60 reward points for every hour they spend at the poker tables. What can you do with these points? It’s quite simple – you can exchange them for real money – 100 points can be exchanged for £1, on anything you want to, with no restrictions. You also can participate in monthly poker related promotions that usually are offered in a form of last longer or a cash race. Results at the tables are irrelevant most of the times, what matters is consecutive days of play or your loyalty, in other words! 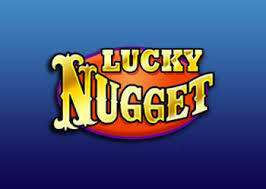 The fact that the Golden Nugget Casino in London is a property of Caesars works to your benefit, since the loyalty points and rewards you unlock by playing in this property will also count at any other one, including Planet Hollywood and 9 Other Las Vegas Resorts of whom Caesars Entertainment is in charge of. VIP players, those who play for high stakes and do so constantly, will get a complete red carpet treatment through Monogram VIP program, which is by invitation only. Once you are a part of it, though, you’ll receive exceptional quality in any of the Caesars Entertainment properties. You won’t find fancy high class restaurants in The Golden Nugget of London, but there is a place to dine daily from 11 PM to 5 AM during the weekdays as well as 24 hours a day during weekends and bank holidays. The bistro serves sandwiches, ciabattas and other snacks from 11 AM until closing. Same applies to the bar menu and the only real exception is the specials menu, which is available from 5PM up until 2 AM. There also are some complex offers for those looking to dine and drink, such as a burger and a pint of beer or a glass of wine for £7 total. Check out the daily specials menu for an exact offering in regards to these. If you’re looking for a drink after a long day, it might be worth it to visit the Retro Bar that is also located inside the casino. Watch your favorite sports event with friends while drinking a cocktail and taking advantage of the £7 cocktail. This won’t really be equal to those experience packages that are available up for grabs at the big casinos in Las Vegas or Atlantic City, nonetheless they can also be a quite rewarding experience. Currently two packages are available – Theatre, that offers a discounted and somewhat special meal for two, before visiting a theater, while the other is ”Experience Package”. If you’re new to gambling games, booking the second one is definitely a good idea, as you’ll get to learn rules of various games, free meals & drinks as well as to actually gamble! You won’t get an exceptional, red carpet experience or a chance to visit a huge casino & entertainment resort, as you likely would in Vegas. Though, if what you are looking for is a chance to gamble a little bit while enjoying a drink with friends, The Golden Nugget should be a perfect fit. I’m exaggerating a fair bit and the truth is that this casino is not THAT small and will likely seem like something very special to the mainstream of gamblers. To sum it up – if you are looking for a casual environment to gamble at or a chance to play some Texas Hold’em Cash Games in London, The Golden Nugget will do it for you. If, on the other hand, you’re after an experience from the movies, I will have to sadden you a bit and inform you that the Golden Nugget won’t provide you with one alike.